Check out Tobi's Elaine Ear Cuff Earring Set Cross the sky with the Elaine Ear Cuff Earring Set. Featuring an ear cuff and stud earring set. 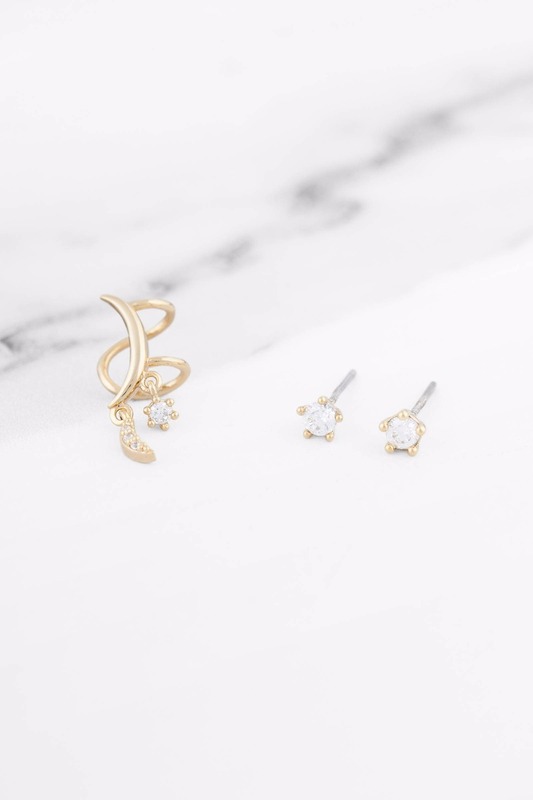 Cross the sky with the Elaine Ear Cuff Earring Set. 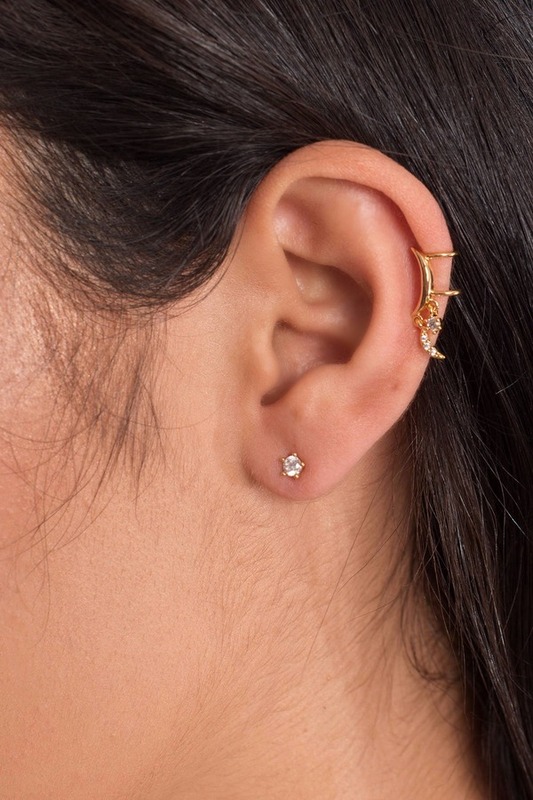 Featuring an ear cuff and stud earring set.